Moving Lola Rue & Company from an area surrounded by high-end student apartments at the corner of West 10th Street and North College to a spot closer to the downtown Square is a change that excites owner Lisa Orme. Painted furniture is the number-one seller in the shop. With the help of Annie Sloan Chalk Paint, any piece of furniture can be given a high-end look. “It requires no priming and is really easy to use,” Orme says. 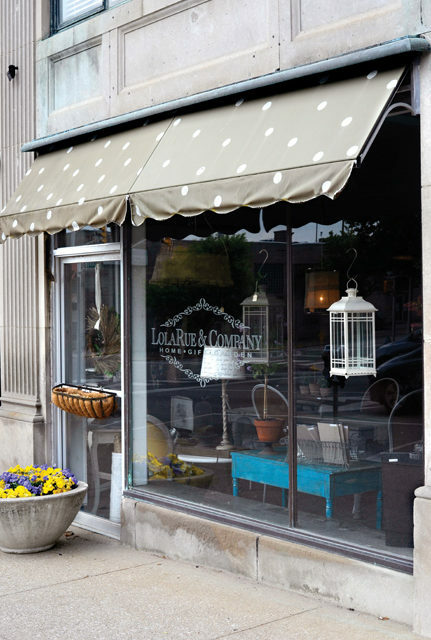 Lola Rue is the only shop that carries this line of paint in south-central Indiana and also offers paint classes twice a month. Jewelry is another popular item, and all of it is made in-house. “And you can always find a pretty good gift,” Orme says. Items range in price from $5 to $500. While Orme has witnessed more local traffic since the move, the type of customer remains the same. “All of my customers are really creative people. They love home, design, art, repurposing,” Orme says. PreviousPickleball: A Game for Seniors That’s Sweeping the Nation!